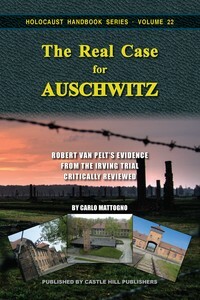 Carlo Mattogno: The Crematory Ovens of Auschwitz. I have a feeling we would have this in English now if it were not for MGK having to respond to HC's cut and paste manifesto. Not complaining, just stating the facts as I believe them. We finally got #25 recently INSIDE THE GAS CHAMBERS. Roland Bohlinger, Johannes Peter Ney: The Wannsee Protocol—A Critical Analysis. I honestly can not think of who those two authors are as I have not read much of their stuff. I have however read most of the basic staples of revisionism. Werd @ The NAZI's Kept the Jews A-L-I-V-E! I would like to point out that this book has been promised to the English speaking world for years. Anyone who has advertisements in the backs of their holocaust handbooks either Barnes or T&D editions will often see it advertised under a heading like "In preparation" or "coming soon." not even the two volume set THE CREMATORY OVENS OF AUSCHWITZ has made it to English yet. Now that another Mattogno book has made it into English called "Inside the Gas Chambers", we find that Kues is expanding his work on the evidence for the presence of gassed jews in eastern territories, and Graf I believe is working on a book on the Einsatzgruppen. 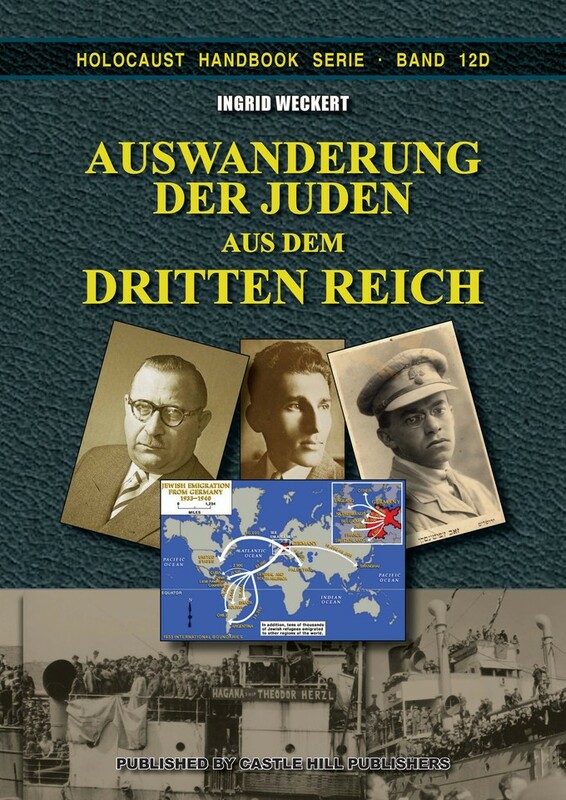 Also, in the back of Weckart's book JEWISH EMMIGRATION, as well as a few other old T&D books, we were supposed to have seen English versions of Franz W, Seidler Crimes Against The German Wermacht (vol. 1& 2) as well as Walter Post. The Defamed Wermacht.. Does anyone know if any of these ones are still in the planning stages for Barnes or have they been abandoned? Well it turns out that #27 is no longer the book it was supposed to be. Now, #27 is the 3rd expanded and revised edition of John C. Ball's classic book. During World War Two both German and Allied reconnaissance aircraft took countless air photos of places of tactical and strategic interest in Europe. These photos are prime evidence for the investigation of the Holocaust. Air photos of locations like Auschwitz, Majdanek, Treblinka, Babi Yar etc. permit an insight into what did or did not happen there. This then can be compared with what witnesses claim happened there. The present book is full of air photo reproductions and schematic drawings explaining them. 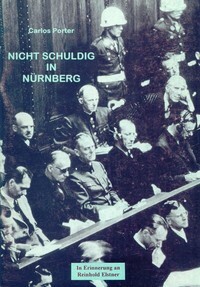 According to the author, these images refute many of the atrocity claims made by witnesses in connection with events in the German sphere of influence. After German units captured the Ukrainian capital Kiev, they are said to have shot some 33,000 Jews and tossed them into the Babi Yar ravine. In the summer of 1943, shortly before their retreat, the Germans are said to have exhumed the bodies and burned them for weeks on huge stakes. What do air photos from before and immediately after the event show? Witnesses claim that in these camps altogether more than 1.5 million Jews were killed and initially buried in gargantuan mass graves. Later on they are said to have been disinterred and burned on huge pyres. Do the air photos show any evidence for this to be true, like remnants of huge mass graves, charred earth from huge fires? This was the first major German concentration camp “liberated” by the Red Army toward the end of World War II. Initially it was claimed that up to 1.7 million inmates were killed here by various means, but that number has decreased over the past seven decades to just under 80,000. Also decreased is the number of officially alleged gas chambers used for these claimed murders: from seven to currently two. 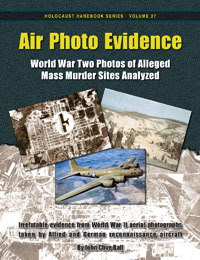 The air photos presented here give some clues as to why these mass murder claims have been untenable from the start. 3rd, corrected and expanded edition with contributions by Germar Rudolf and Carlo Mattogno. Carlos Porter has translated Franz W. Seidler's book into English. CRIMES AGAINST THE WERMACHT. [Note: I was paid to translate this about 5 or 6 years ago, but the operation went bust, one of the organizers went to jail, and the translation got lost. So here it is, warts and all. Those who wax indignant about Gestapo "torture" can take a good look at what the Soviets were doing. CLICK ON PICS TO ENLARGE. -C.P. Hektor. I am very interested in the Wannsee conference and have read a bit but by no means do I understand the various claims and counterclaims on the meeting. Can you explain what you read into Heydrich being left off the participant list? It's pretty simple. The Wannsee Protocol starts with a participant list on the first two pages. Reinhard Heydrich would be the most important participant of the conference, yet his name isn't on that list. Although I think he would be the last person anyone would have forgotten, especially not a German secretary. Mind you, he is also mentioned in the first sentence of the text. This is by far not the only problem with the document, not even the text. The author may have had education in university course of German, but he doesn't know the correct wording for "Freiberufler" (=professionals like doctors) to give another example. I think we covered the formal problems this document is riddled with already elsewhere. Castle Hill in the UK is on a roll for 2015 already! This new edition is 178 pages, whereas the older one from Theses and Dissertations Press was 120. This second edition is also slightly expanded and corrected. Perhaps it will take into account some of the minor errors Graf admitted to in "The Extermination Camps of Aktion Reinhardt." 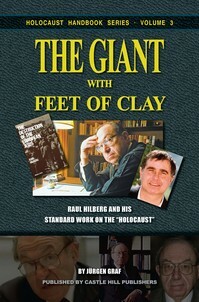 On page 40 of The Giant with Feet of Clay, I had written that, according to Raul Hilberg, the “mobile killing unit” Einsatzgruppe A had killed 125,000 Jews up to 15 October 1941, the overwhelming majority of them between August and October. As Einsatzgruppe A only had 990 members, about 240 of them non-combatants, I concluded that for logistical reasons, this unit could not have killed 120,000 Jews within a mere two and a half months. But Hilberg explicitly states that Einsatzgruppe A was supported by other German units, plus local helpers. In the light of this fact, I am compelled to concede that the alleged mass killings may indeed have been possible from a logistical point of view – which of course does not mean that they actually occurred. - J. Graf. TECOAR. Page 23-24. I will say that the Barnes Review does not carry these newer editions of Graf's and mattogno's books. They have the older These and Dissertations Press editions of them. But on the back, they have a very strong golden sticker slapped on the back with the mailing address information for the Barnes Review since Theses and Dissertations no longer exists. Perhaps they want to sell all of those older editions before they build stock of the newer editions? That is my speculation. If that is their intention, they should do what Castle Hill is doing with older hardback and even older paperback editions of say The Rudolf Report from Theses and Dissertation Press. Have a sale! Slash those prices! I also think that since Porter has translated The Crimes Against the Wermacht, Castle Hill and/or Barnes Review should be able to publish it soon. Apparently, Mattogno claims his book I Forni Crematori Di Auschwitz (The Crematory Ovens of Auschwitz) is already in English and just needs to be published. Werd wrote: Castle Hill in the UK is on a roll for 2015 already! Rudolf wrote an article about Sanning's work in "Dissecting the Holocaust." There is no way around the fact, however, that there are still Jews living today who really were deported to Auschwitz in spring 1944 and who have repeatedly testified as witnesses in court. Further, Pressac states that between 1/3 and 2/3 of the Hungarian Jews deported to Auschwitz, whose arrival and selection were photographed by the SS, were considered fit for forced labor, i.e., were not killed. As well, it can be proven, he says, that in the spring some 50,000 of these Hungarian Jews were transported on to the Stutthof camp via Auschwitz. In this respect, therefore, Sanning’s theory rests on a shaky foundation - but so does that of Benz, who contends that the Hungarian Jews were killed immediately and almost without exception. As G. Holming has pointed out, this relation of 1/3 to 2/3 may be the one of inmates registered in Birkenau and those sent to other camps, and not of those killed, "Wieviele Gefangene wurden nach Auschwitz gebracht? ", VffG, 1(4) (1997), pp. 255-258 (online: vho.org/VffG/1997/4/HolWie4.html). J. C. Pressac, Les crématoires d'Auschwitz, la machinerie du meurtre de masse, Édition du CNRS, Paris 1993, p. 147, cites the Yad Vashem without giving any further details; acc. to findings of J. Graf and C. Mattogno in the archives of the former camp of Stutthof, only 25,000 Jews were deported (cf. 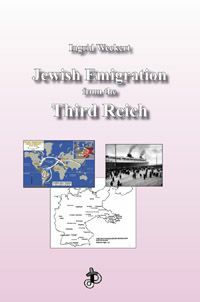 J. Graf, C. Mattogno, Concentration Camp Stutthof and its Function in National Socialist Jewish Policy, Theses & Dissertations Press, Chicago, IL, 2003; online: vho.org/GB/Books/ccs). Perhaps the rest was sent to other labor camps. Cf. also the report about Hungarian Jews as forced laborers in the Volkswagenwerke in Wolfsburg: H. Mommsen, M. Grieger, Das Volkswagenwerk und seine Arbeiter im Dritten Reich, Econ, Düsseldorf 1996; P. Bölke, "Der Führer und sein Tüftler", Der Spiegel 45 (1996), p. 138f. And if the Sanning book has a new forward from Rudolf, then perhaps this little error, and any other ones, will have been corrected. This is a new edition after all. This is the slightly corrected second edition with an updated foreword by Prof. A.R. Butz and an important epilogue by Germar Rudolf. This edition has 114 pages. The old English edition from Theses and Dissertations Press is half that length. 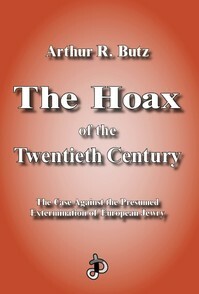 On 545 pages of penetrating study and lucid commentary, Dr. Butz gives the reader a graduate course on the subject of the Jews of World War Two Europe. One main focus is on Auschwitz, which during WWII was a strategically important location of German petrochemistry. Information about this location had been available to the Allies for a long time. The fact that the claimed exterminations had to be known to the Allies but obviously were unknown to them, has always been sheer inexplicable for experts in the field. Except if those exterminations simply didn’t happen – and this is exactly Prof. Dr. Butz’s approach. Chapter by solidly referenced chapter, Dr. Butz applies the scientist's rigorous clinical technique to every cornerstone of the legend. 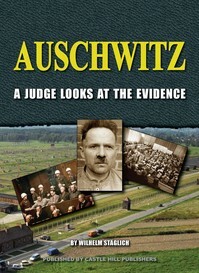 He focuses on the post-war crimes trials where the prosecution's false evidence was secured by coercion and even torture. 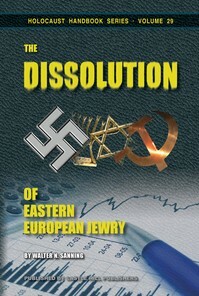 He re-examines the very German records so long misrepresented; he critiques the European demographics, which do not allow for the loss of the Six Million; he re-evaluates the concept and technical feasibility of the gas chambers with some startling conclusions; and he separates the cold facts from the sheer tonnage of disinformation that has served as a formidable barrier to the truth since the end of WWII. The first edition of this book caused unprecedented shockwaves throughout the academic and political world in the 1970s. Its open sale has been banned in an increasing number of countries including Germany and Canada. It is a book violently denounced by those unable to refute its thesis – the most hysterical reactions to it coming from those whose own historical views cannot withstand the light of honest review. Now in its fourth edition, five major supplements have been updated to bring the reader up-to-date on the continuing Holocaust controversy and its impact almost everywhere World War Two is discussed. 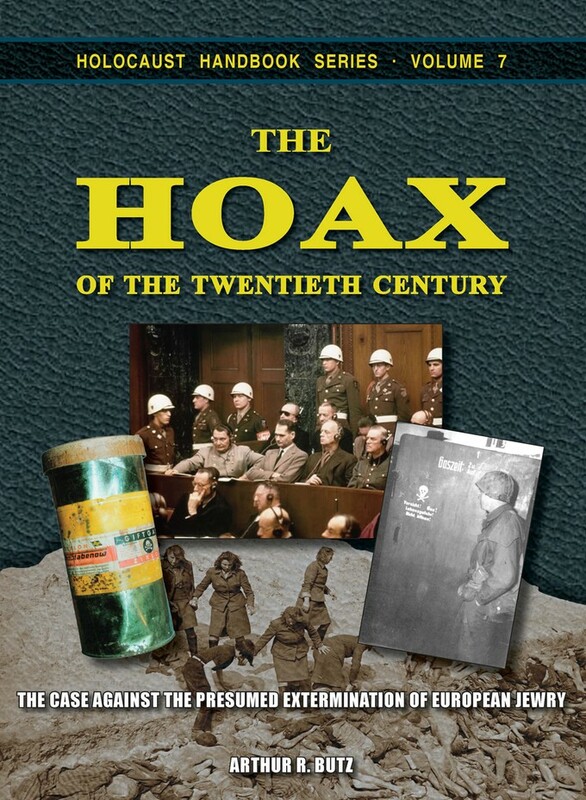 A best-seller by any meaningful standard, yet still ignored and maligned by the people who have known of it but have never even made the effort to read it, The Hoax of the Twentieth Century is a book you must read if you want a clear picture of the scope and magnitude of the historical cover-up of our age, who is behind it, and what can be done to put an end to it. it was "revised and expanded" clocking in at 506 pages.